Norma Lee (Lorimor) Dwyer passed away on November 4, 2018, at the age of 87 at Mill Vista Care Facility following a brief illness. Norma was born on April 26, 1931 on her family ranch 3 miles from Collbran, Colorado. She was the 7th of 8 children born to Claude and Mabel Lorimor. Norma attended school in Collbran and graduated from high school in 1948. She married Thomas S. Dwyer on July 31, 1948 in Grand Junction, CO. They lived in Rangely, Colorado where their daughters Nancy Lynn and Judy Lee were born. The family moved to Salt Lake City, Utah for 5 years, and then relocated to Evanston, WY where their daughter Lori Dee was born. In the winter of 1966-67, they moved to Labarge, Wy. Norma and Tom spent 17 enjoyable years in LaBarge, before returning to Grand Junction in 1983 to be closer to their families. After Norma retired from the Clifton, CO, school district, she and Tom spent several winters in the warmth of San Felipe, Baja, Mexico. Norma lost her best friend and husband of 60 years in 2009 after a long illness. In 2015, Norma relocated to Highlands Ranch, Colorado to be closer to her daughters, Judy and Lori. Norma worked as a babysitter and a clerk before pursuing her passion of working with special needs children, first at LaBarge Elementary then later in the Big Piney schools as well. After the move to Grand Junction, Norma continued her work with children both as an aide in special needs classes then later as librarian at Clifton Elementary in Clifton, Colorado. In addition to working in education, Norma worked alongside Tom in their successful oil tank ‘strapping’ business after Tom’s retirement. 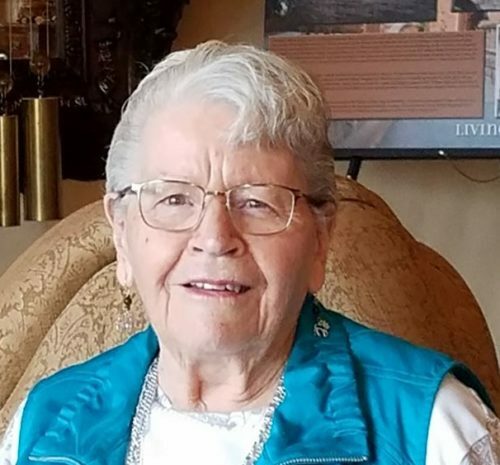 Norma served as a Girl Scout leader in Evanston with her older daughters and continued supporting Girl Scouting with her youngest daughter after the move to LaBarge. She had many roles including cookie director, service unit chairman, state council member, and state camp director. Norma was awarded the ‘Thanks Badge’, the highest volunteer honor. She continued in Girl Scouting long after her girls graduated by volunteering at local and national camps and later as a resource for Girl Scouts in Grand Junction and Highlands Ranch. In addition to Girl Scouts, Norma was a charter member of the Lincoln County Historical Society. She and Tom enjoyed learning about Wyoming history and spent much of their free time trekking, rock hunting, and enjoying the Wyoming outdoors. In later years, she channeled this love of history into researching family genealogy and history in western Colorado. She joined the Museum of Western Colorado and spent many hours volunteering at her beloved Cross Orchards Living History Farm. She became a member of the Territorial Daughters of Colorado where she served as Historian. Norma was a prolific crafter and crocheter, providing countless hats, scarfs, mittens, kitchen towels, crocheted critters, sock monkeys, Broncos paraphernalia, and other creative projects to her family, friends, and charitable organizations. Norma was preceded in death by her husband Tom, her parents, her sisters Avon, Betty, Ida, and Dorothy, her brother Raymond, her grandson, Tommy, and her great-grandson, Seth. She is survived by her sister Ruth Barnes (Green Valley, AZ), her brother Wayne Lorimor (Grand Junction, CO), her daughters Nancy Dwyer (Danville, VA), Judy Dwyer (Bill Smith, Arvada, CO), and Lori Nield (Doug, Highlands Ranch, CO), six grandchildren, (Carol, Shawn, Erik, Jake, Jesse, and Lindsey), 5 great-grandchildren (Alexei, Zachary, Justin, Caleb, and Riley), great-great granddaughter Dalilah, and numerous cousins, nieces, and nephews. No services are scheduled. Memorial donations can be made in Norma’s honor to the Museum of Western Colorado (https://museumsofwestco; Museum of Western Colorado, P.O. Box 20000, Grand Junction, Colorado 81502-5020). Rest in Peace Norma , you were a special type person that will be missed by everybody that had the privilege to have known you ! I can’t imagine how many thousands of lives you have impacted, how many paths you have led children on, or how many days were brightened by your presence. Only God knows these things and He must be so pleased to welcome you home. Well done Norma! The pain and struggles are over. May you rest in peace and may the good memories fill all those empty places that are left in everyone’s hearts from your passing. Tom and Norma can now spend quality time with Ray and Mary doing whatever glorious thing they would like to do! May they all have a glorious time and Rest In Peace together forever! We will miss you Norma. May you rest in peace and have a wonderful reunion with all your love one’s. She made Girl Scouts so much fun. All the hikes we took, cook outs, and camps. She put up with a lot from our troop in LaBarge. The great positive impact Norma had not only on the students, but on the staff at LaBarge Elementary can never be measured. She will be missed by all. I am grateful I got to know her. She added much to everyone’s lives. A school mate and special friend. Enjoyed our special get togethers at the Kelley ranch to ring the old school bell! Norma was an amazing lady full of memories and stories about her family and growing up in Collbran. Norma was such a special, special lady. I loved working with Norma years ago at the La Barge Elementary school. She and your Dad were exceptional people. Please know our thoughts and prayers are with you. My deepest sympathy to the family and friends of Norma. May your treasured memories bring you joy, and may ‘the God of all comfort’ give you strength and a measure of peace for your grieving hearts at this most difficult time.